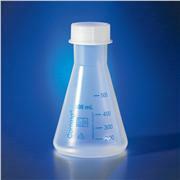 KIMAX flask with a screw-thread finish. 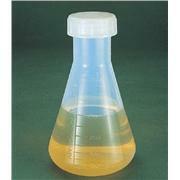 Used to mix and store culture media, and in other culturing techniques. 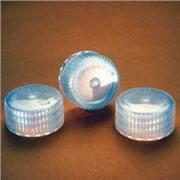 Included are long caps with cemented-in white rubber liners, not attached. 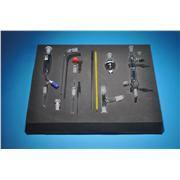 Designed from ASTM Specification E1404, Type III. 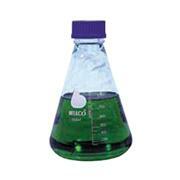 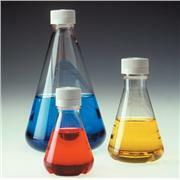 …polypropylene flasks are manufactured with blue graduations for reference. 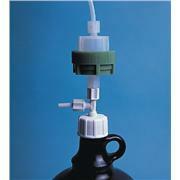 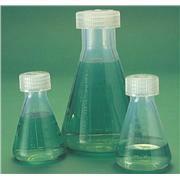 The flasks have a screw neck and are supplied with a PP cap. 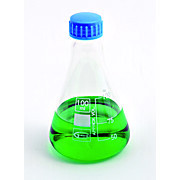 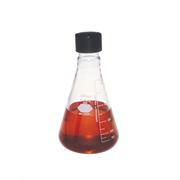 Translucent polymethylpentene flasks are manufactured with red graduations for reference. 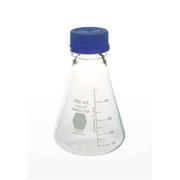 The flasks have a screw neck and are supplied with a PP cap. 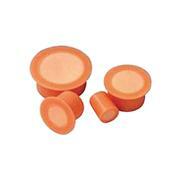 Plug-seal screw caps Graduated Neck opening: 29 mm Ideal for all media prep and storage needs. 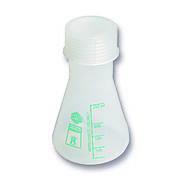 Easy to use with larger volume serological pipets. 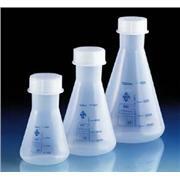 …to microwave radiation Use for titrations, preparation and storage of culture media 125 mL has size 33 cap, 250 mL has size 38 cap, 500 mL has size 43 cap, 1,000 mL has size 53 cap. 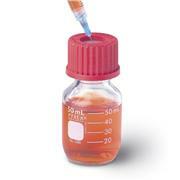 NOTE: before autoclaving set cap or closure on top of the container without engaging the threads. 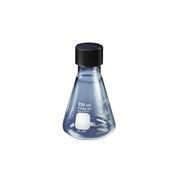 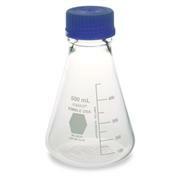 50mL capacity erlenmeyer flasks with screw closure PP. 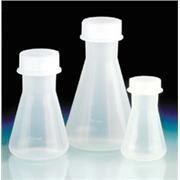 Translucent, wide mouth, flasks with polypropylene screw closures. 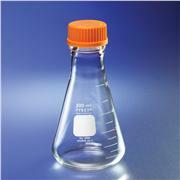 Excellent chemical resistance. 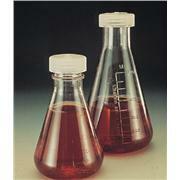 Flasks can also take stoppers.